Now winter is well and truly here, coats have been reproducing on our newel post to the extent that when we go up or down the stairs we have a choice. Either turn sideways against the wall and squeeze past the mass of coats or knock them all on the floor. Of course any teenagers in the house knock them on the floor without thinking… and leave them there. Not annoying at all. A near miss this morning involving an armful of washing, two cats and a jumble of coats on the floor got me online looking at coat stands. The first one I’m hankering after is of course way out of my budget at nearly a thousand AU dollars, and in Australia. 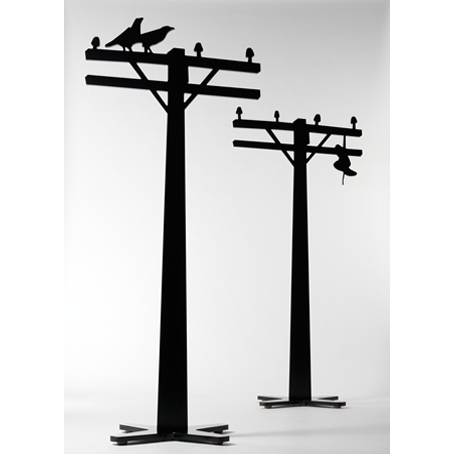 The Stoby Pole designed by David Potts was inspired by stencil graffiti. How about making your own more affordable 2D version of the above with this Power Pole wall sticker from Rockett St. George and some black hooks? At almost a tenth of the cost you might be left with something to pay your power bills with. The genius of this ceiling-hung Wardrope Coat Rack by Authentics is its simplicity, you can move the hooks to the height you want and the weight of the coat fixes them in position. Perfect if you’re short on space. This Tree Coat Stand from The Holding Company looks so smooth and strokeable and has plenty of capacity, but will also stand around looking pretty when it’s got nothing to do. 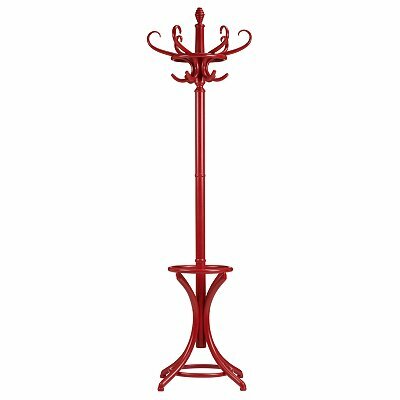 For a classic bentwood coat stand the HND Cafe Coat Stand has been brought up to date in red, white or black and there’s even space for an umbrella or two. Which do you like best? 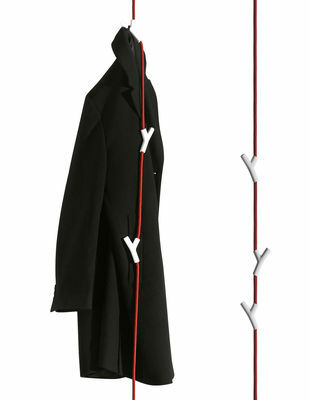 Have you got any coat stand recommendations?